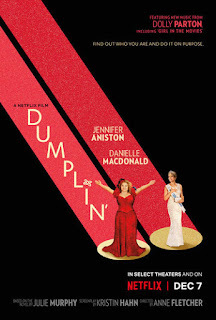 Read Dulce's review of Dumplin'. Dumplin' is the plus-size, teenage daughter of a former beauty queen (Jennifer Aniston), who signs up for her mom’s pageant as a protest that escalates when other contestants follow her footsteps, revolutionizing the pageant and their small Texas town. Featuring the music of Dolly Parton. Dumplin' releases on Netflix on December 7th, 2018. What can i say that has not already been said? This movie is remarkable. Besides being funny and thoroughly entertaining, it is full of surprises that will melt your heart. Anyone can relate to the insecurities Willowdean faces about her body and not being good enough. In this coming of age movie we witness the power of friendship and family. The message for girls and boys everywhere is truly powerful, embrace who you are because you are, ‘Already Perfect’! This movie based on the Young Adult best-seller Dumplin revolves around Willowdean and her friends joining their local pageant show. What started as a protest quickly turns to a test of friendship and the start of exciting adventures. Watch this movie on Netflix with friends and family, it has something for everyone especially Dolly Parton fans! 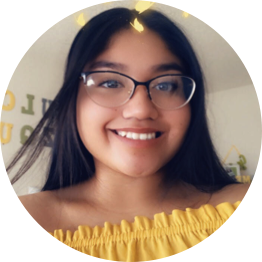 Click Here to check out Dulce's Articles.